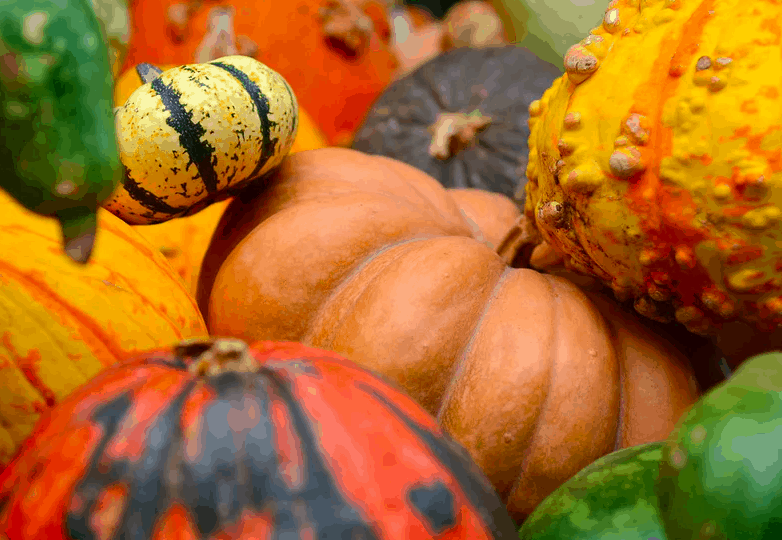 Pumpkins come in all colors, shapes, and sizes, but you’d be surprised how many different types there are. 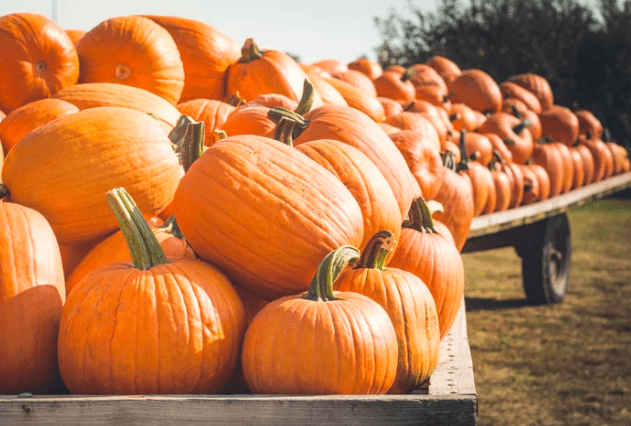 Whether you’re opting to gore on this gourd in sweet or savory form, we’ve designed this useful pumpkin guide that will help you make the best use out of the common pumpkin varieties you’re likely to see in a supermarket. 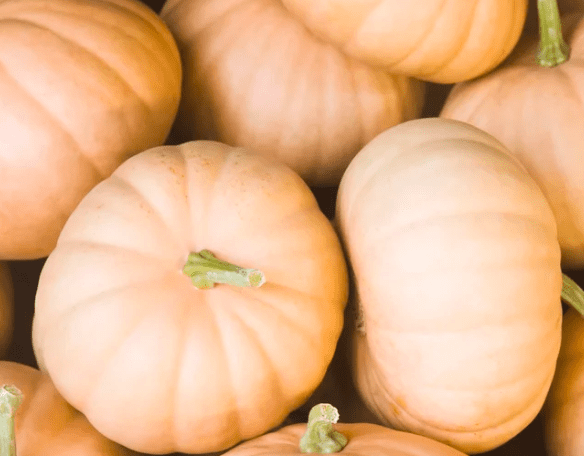 Out of all the pumpkins, these are the types you’ll see displayed the most in stores during the crisp fall months. They have a tough exterior and interior, with stringy and watery flesh. The truth is, these babies are best for decorative purposes, and less great for cooking. 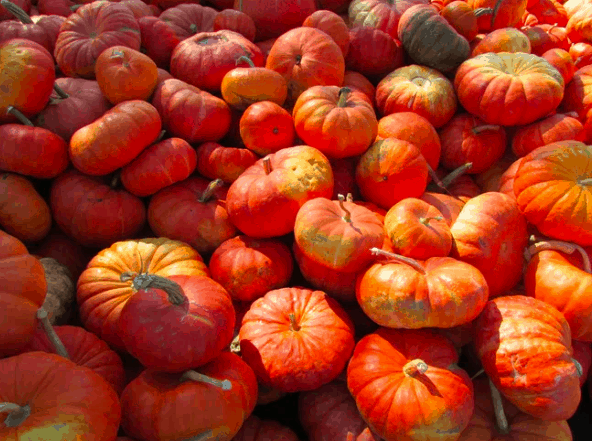 These tasty little gourds are sweet and have a creamy flesh. 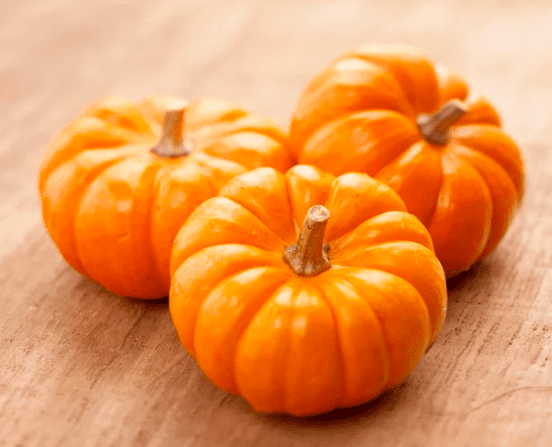 They have sugar content ideal for making delicious pies or any other pumpkin-oriented desserts. These adorable pumpkins look straight out of a Disney movie. They can obviously be used for decorations, but they’re particularly great for making sweet and savory recipes because of their high water content and creamy texture. These plump and squat varieties are perfect for pies, custards, and curries. Long Island Cheese or Musee de Provence pumpkins consists of dense, sweet flesh with a savory and earthy finish. They are ideal for slicing and dicing. 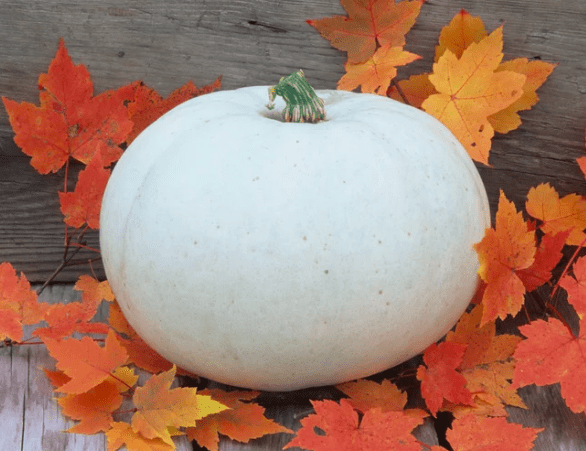 Pale as a ghost, these spooky white pumpkins are great for baking. Despite their light skin color, their interiors contain vibrant orange flesh that will definitely satisfy your sweet tooth. 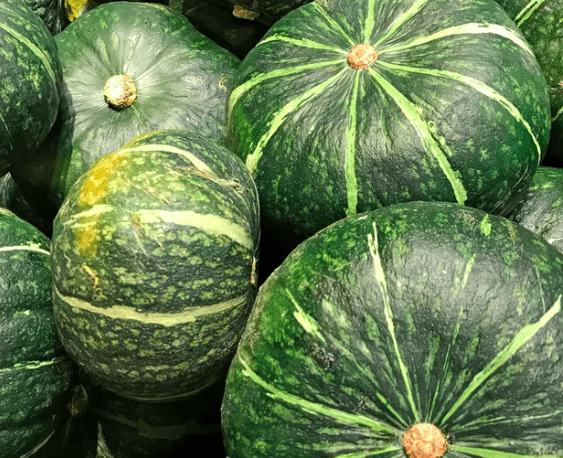 The firm flesh inside these green and yellow pumpkins stay firm when cooked and are easy to slice and dice. They offer a unique flavor that combines elements of sweet, nutty, and savory, making them ideal for using in curries and tempuras. 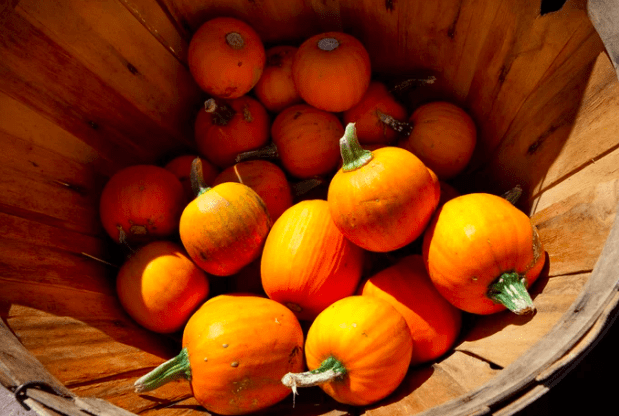 These tasty reddish squash are definitely pumpkin-y enough to sneak their way into the patch. Their interior is slightly sweet, creamy, and tender. Some people even prefer their flavor to chestnuts. Red Kuris are fantastic for sweet and savory dishes like soups and are even yummy roasted plain. All you need to do is cut them in half, scoop out the seeds, bake it, and then eat it whole (even the skin is edible).